Thermaltake is and ahs been a pretty well known company in the heat sink business, ever since they released their now famous "Golden Orb" (or Gorb for short.) 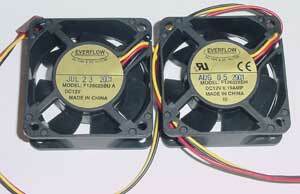 It was one of the first heat sink designs that was both efficient and really stylish at the same time. Since then, they have continued with their well known "Orb" line of coolers with other designs such as the Silver Orb, Super Orb and the latest Dragon Orb. Along with the popular Orb coolers, Thermaltake puts out a couple other lines of coolers that tend to get less attention, most likely due to the fact that they don't look as cool as the Orb coolers. One such line from Thermaltake is their Volcano line of coolers. Their older Volcano 2 unit received a fair bit of press when it hit, but nothing incredibly overwhelming came from the cooler. The Volcano 3 came and went with nary a word spoken of it. The Volcano 4? Unsure, as of yet. It appears to have vanished without a trace. 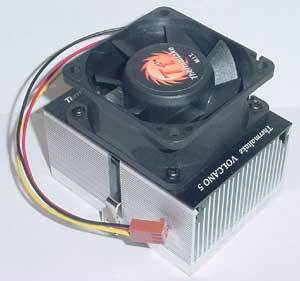 However, recently, Thermaltake came back with a roar, and added 3 new coolers to their volcano line of units. 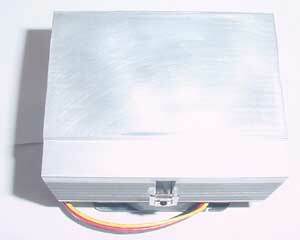 The all Aluminum Volcano 5 and the Copper based Volcano 6Cu and 6Cu+. 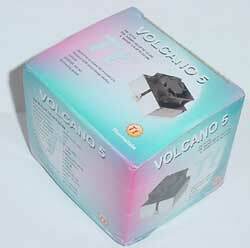 This time out, I'm going to take a look at their Volcano 5 and see how it handles itself in my torture chamber. Thermaltake packages their sinks pretty sparsely, but definately adequately. They had a box made for the Volcano that was pretty danged close to the perfect size for the unit, and the thick cardboard, I'm sure, does a more than adequate job of protecting the cooler. Inside the box you'll find the cooler pre-assembled and all, meaning its a pull-it-and-install-it kinda job. One thing you will see (you'd almost have to be blind not to see it) is a very large plastic slip covering on the bottom of the sink protecting the pre-applied thermal pad. With big writing on it telling you to remove it before use. Thats a definate bonus, cuz when people forget to do that... it really stinks.